Julien Pettré is a computer scientist. He is junior researcher at Inria, the French National Institute for Research in Computer Science and Control, in the Lagadic team. 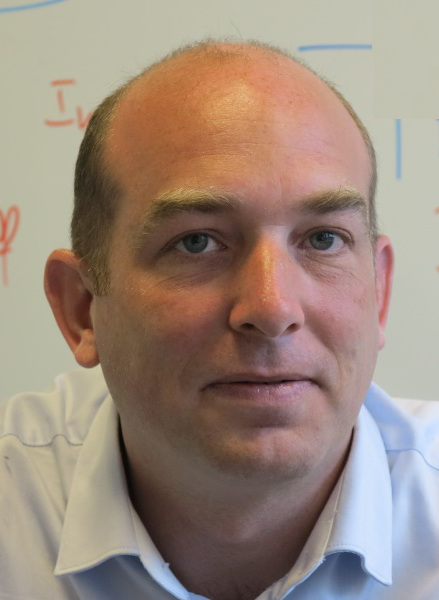 He received PhD from the University of Toulouse III in 2003, and Habilitation from the University of Rennes I in 2015. From 2004 to 2006, he was postdoctoral fellow at EPFL in Switzerland. He joined Inria in 2006. Julien Pettré is currently coordinator of the European H2020 Crowdbot project (2018-21), dedicated to the design of robot navigation techniques for crowded environments. He previously coordinated the national ANR JCJC Percolation project (2013-17) dedicated to the design of new microscopic crowd simulation algorithms, as well as the national ANR CONTINT Chrome project, dedicated to efficient and designer-friendly techniques for crowd animation. His research interests are crowd simulation, computer animation, virtual reality, robot navigation and motion planning. result from all the local interactions between individuals. Microscopic crowd simulation algorithms compute the motion of virtual crowds in the same way: they are based on a set of numerical models of local interactions. We have proposed several new models of local interactions. We especially considered collision avoidance and following interactions. We pioneered the “velocity-based” models of collision avoidance, which enable agents to perform adaptations with anticipation, which better reflects real human behaviors. The design of realistic microscopic crowd simulation algorithms requires extending knowledge on individual behaviors in crowds and their repercussion at the collective scales. We have performed a number of experiments to decipher such behaviors. Through several experimental campaigns, we studied collision avoidance behaviors, following behaviors, unidirectionnal and bidirectionnal flows of people, crossing flows of people, etc. Recently, the Inria media team made a video footage about one of our experimental campaign. You will have more explanations about our experimental approach, and their links with our modelling and simulation activities. Creating crowd animations can be a tedious task for designers. They have to play on the numerous parameters of crowd simulators to generate new animations, we can lead to few trial We explore new animation techniques, such as the crowd patches approach. In contrast with the use of simulators, in this approach, designers directly manipulate assemblies of crowd patches (pre-computed elements of crowd animations), with direct visualization of results, resulting in more intuitive techniques. spectators. 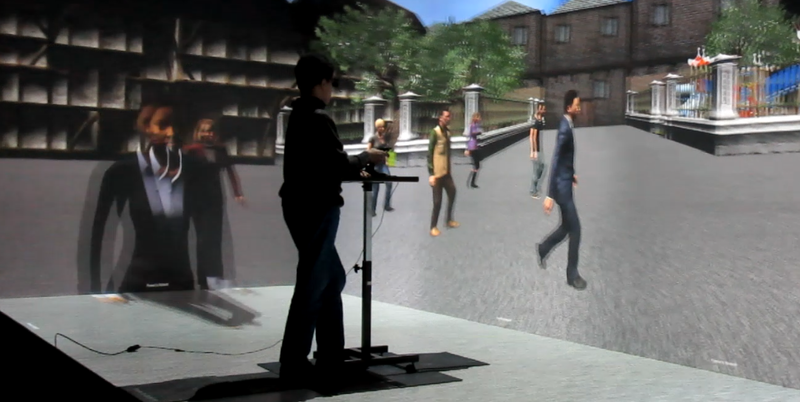 For example, we could prove the importance of inserting full body motion details in crowd characters motion on the perceived realism of a crowd animation. Virtual reality allows us to set real humans in interaction with their digital counterparts. Doing so, we can study more detailed situations of local interactions, perfectly control our experimental situations, and more easily acquire experimental data. We are currently developing this research direction to answer scientific questions on human behaviors in crowds, which would be out of reach without such technology. To know more, check our papers!